Samples of Business Diagrams - Concept Maps are created with ConceptDraw DIAGRAM diagramming and vector drawing software enhanced with business diagramming solutions from ConceptDraw Solution Park. The ConceptDraw DIAGRAM offers you a variety of diagramming tools, and solutions from the Solution Park provide diagram templates and libraries of ready-made charts and shapes for quick and simple drawing professional-quality business diagrams. ConceptDraw DIAGRAM provides export of vector graphic multipage documents into multiple file formats: vector graphics (SVG, EMF, EPS), bitmap graphics (PNG, JPEG, GIF, BMP, TIFF), web documents (HTML, PDF), PowerPoint presentations (PPT), Adobe Flash (SWF). 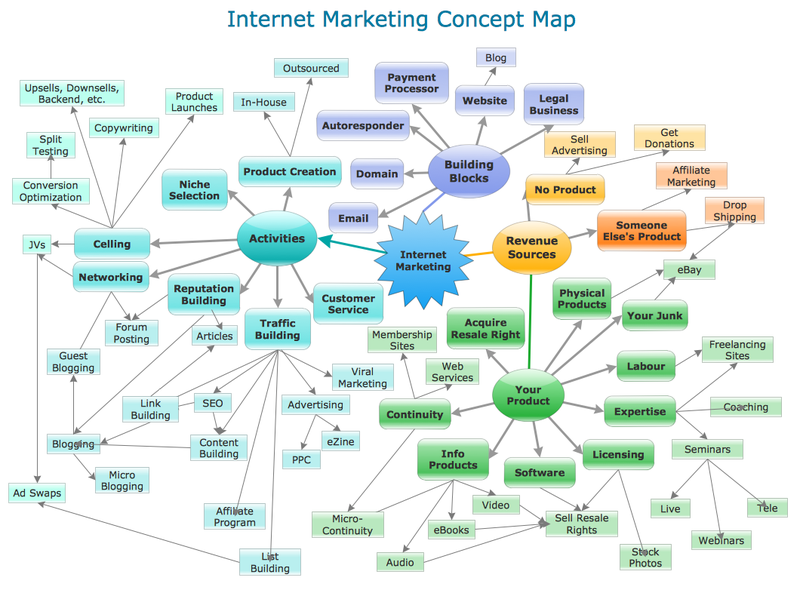 Concept Map sample: Internet marketing. This example is created using ConceptDraw DIAGRAM diagramming software enhanced with Basic Diagramming solution from ConceptDraw Solution Park. 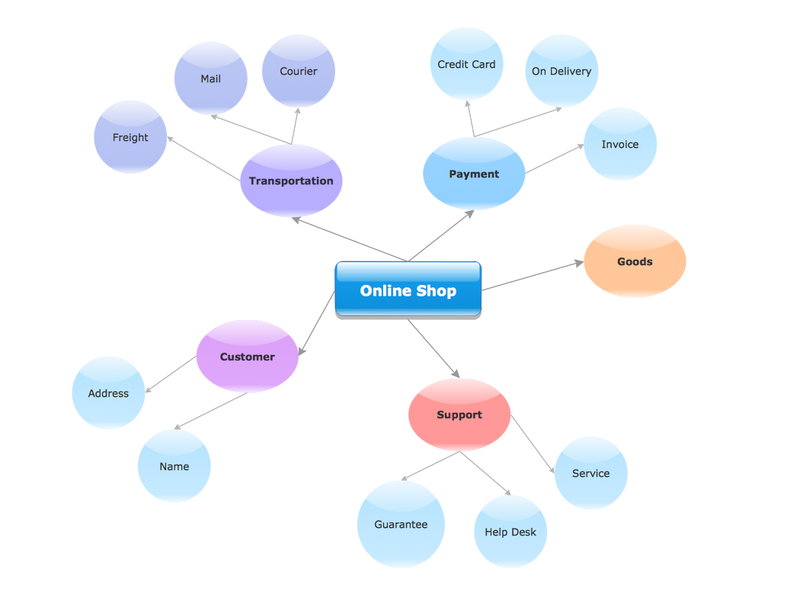 Concept Map sample: Online Shop. 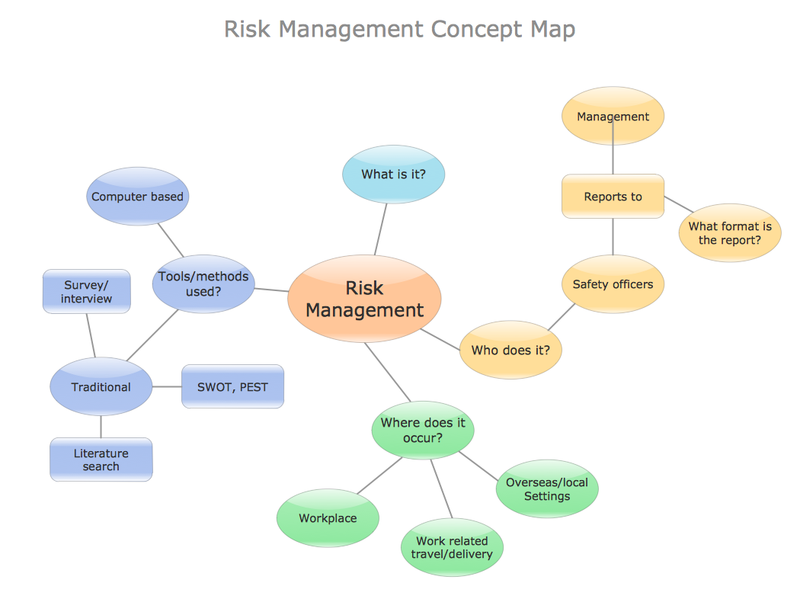 Concept Map sample: Risk management. 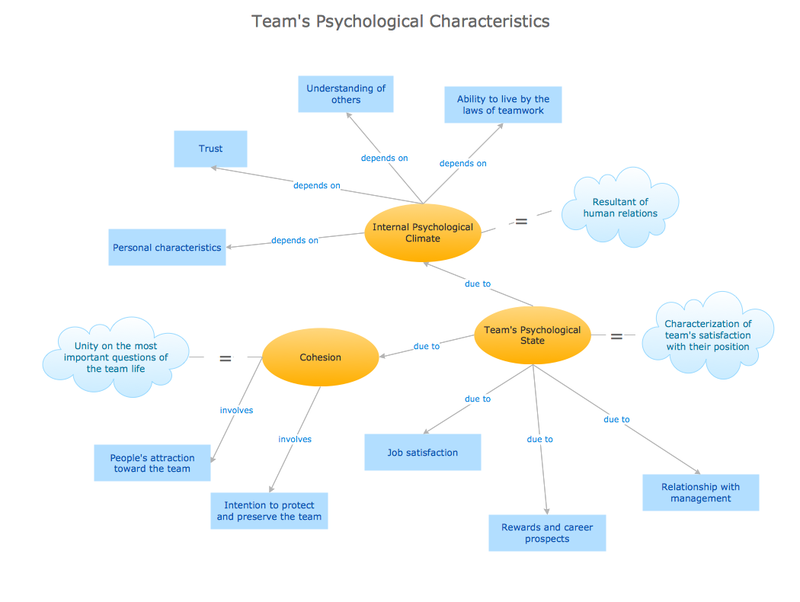 Concept Map sample: Team's psychological characteristics.